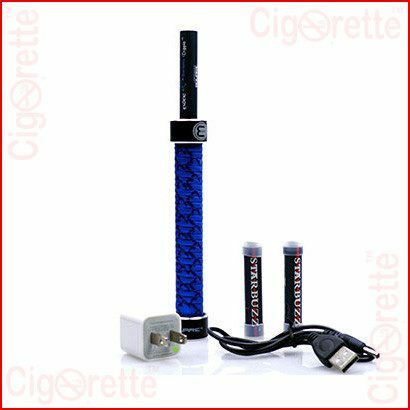 The Starbuzz Mini e-hose is an electronic version of a small shisha/hookah and has the shape of its hose handle. 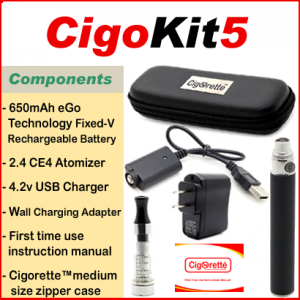 It gives you a delicious smooth vaping experience and produces great vapor. 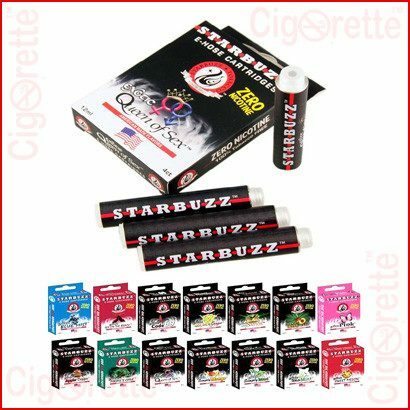 It contains an electronic vaporizer of a 900mAh capacity rechargeable battery and is packed with three flavored starbuzz cartridges. 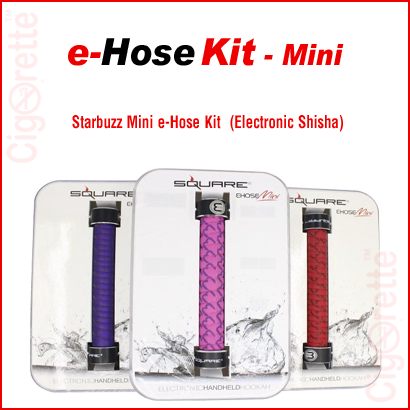 The Starbuzz Mini e-hose is an electronic version of a small size shisha/hookah and has the shape of its hose handle. 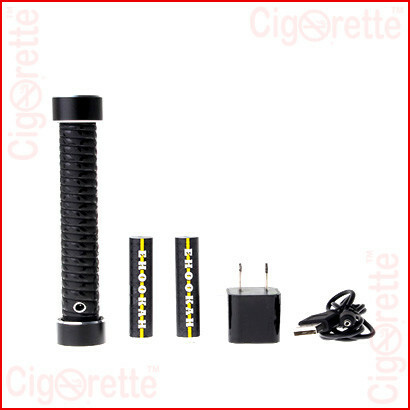 First of all, it measures 19.7 cm in length and 2.4 cm in width. Moreover, it contains an electronic vaporizer of a 900mAh capacity rechargeable battery that delivers smooth and tasty vapor. 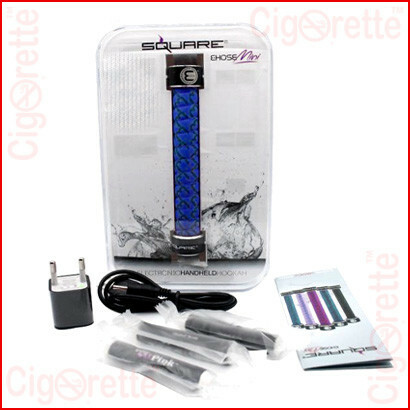 Besides, it lasts up to 800 puffs per refillable cartridge. 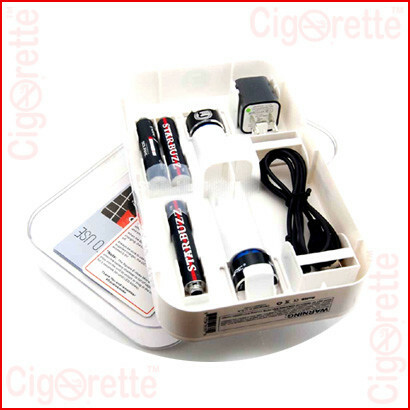 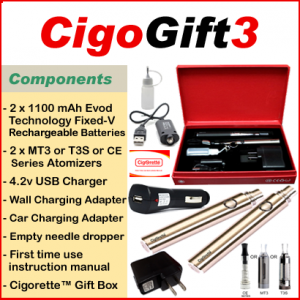 Also, this kit is packed with three flavored starbuzz cartridges, a wall charger, USB charger, and instructions manual. 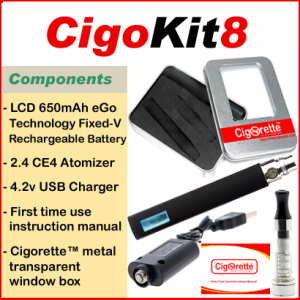 Finally, this device is engineered to produce a satisfying vapor with every puff. 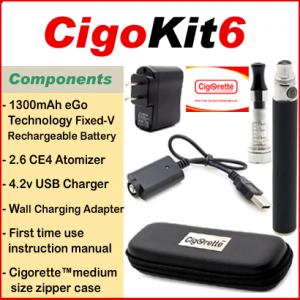 Also, it delivers a great feeling of robust full flavor with every use.